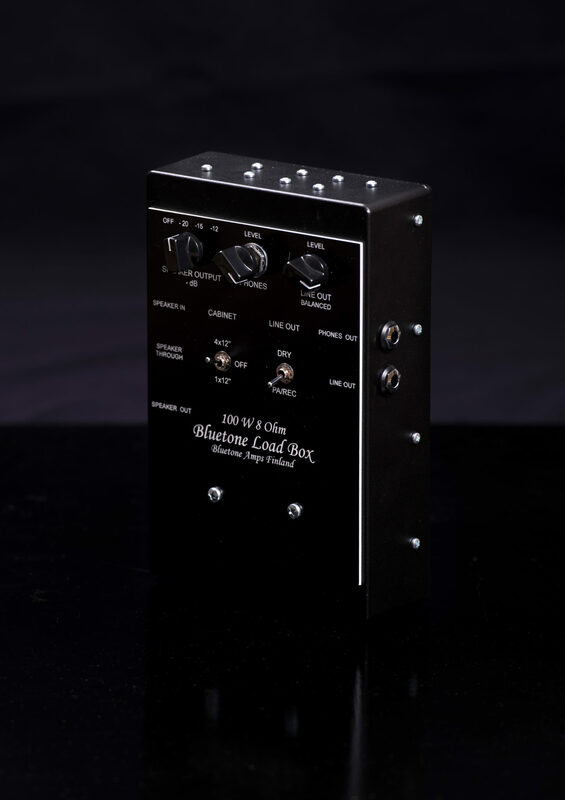 Scalable 100 W reactive dummy load with -12 dB, -15 dB and -20 dB and Off steps to reduce amp output power even to total silence. Speaker Through jack, which is parallel with speaker in jack. This works also with 4 ohm speaker output from amplifier. 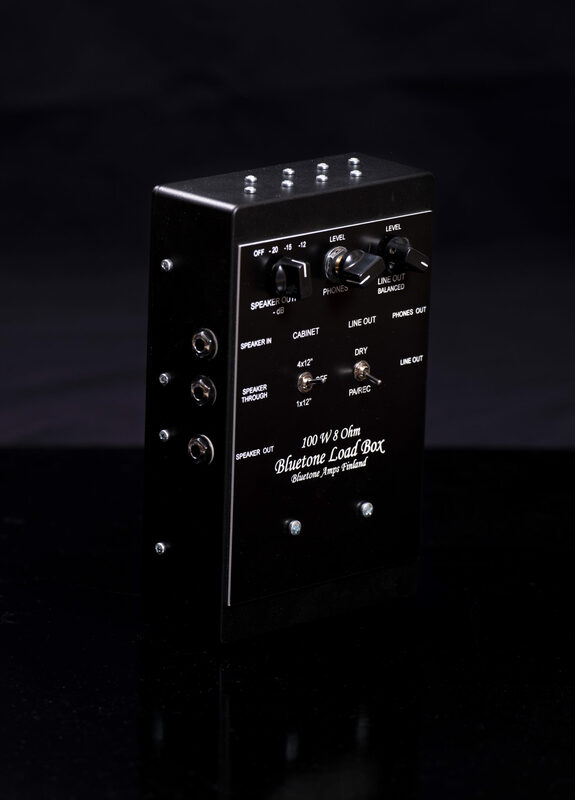 Speaker Out jack for attenuated guitar signal. 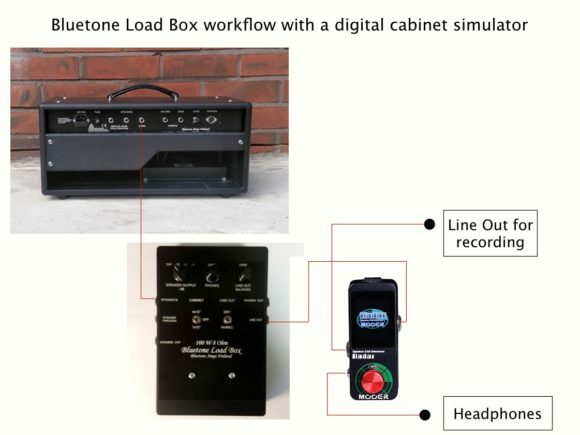 Analog Cabinet Simulator for 1×12″ and 4×12″ speaker cabinets and Off- position to bypass simulation circuits. Dry – PA/Rec switch to tailor line out signal frequency. Adjustable Headphones Out to listen signal with headphones. This box does not need any external power to work. This device has normal 10 years Blutone warranty. 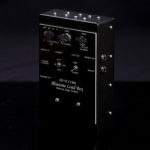 Load Box price is 370 € including 1,5 m speaker cable with plug connectors (24 % VAT included). 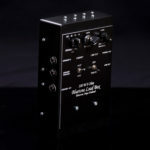 A jack – XLR adapter to convert connector format + 20 €. Scalable 30 W reactive dummy load with -12 dB, -15 dB and -20 dB and Off steps to reduce amp output power even to total silence. This box does not need any external power to work. It is very compact size, W= 14,5 cm, D= 12,0 cm, H=4,0 cm This device has a normal 10 years Blutone warranty. 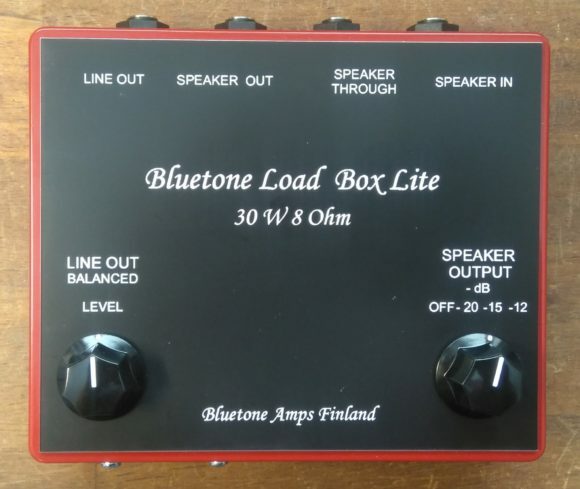 Load Box Lite price is 290 € including 1,5 m speaker cable with plug connectors (24 % VAT included).